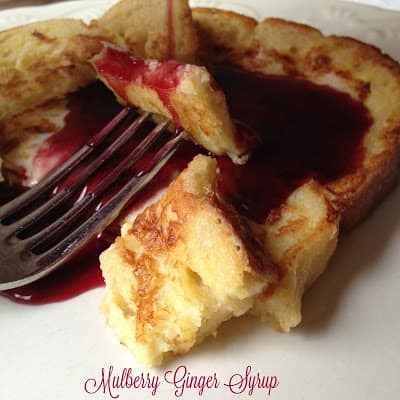 Start your day off right…top your favorite french toast, pancakes or waffles with Mulberry Ginger Syrup. Mulberries are delicious. To me, the flavor of a mulberry is similar to a blueberry, black raspberry and an acai berry, all rolled into one. Making mulberries absolutely delicious. My son and daughter-in-law have mulberry trees on their property, which is great for me. If you are new to canning, check out Pick Your Own for all you will ever need to know about canning and to find recipes galore! You can also look up where you can “pick” in your state. Which means all you have to do is look up mulberries in your state and start picking. Mulberry Ginger Syrup is so delicious over pancakes, waffles, french toast even ice cream! Send mulberries through a food mill to remove seeds and excess pulp. 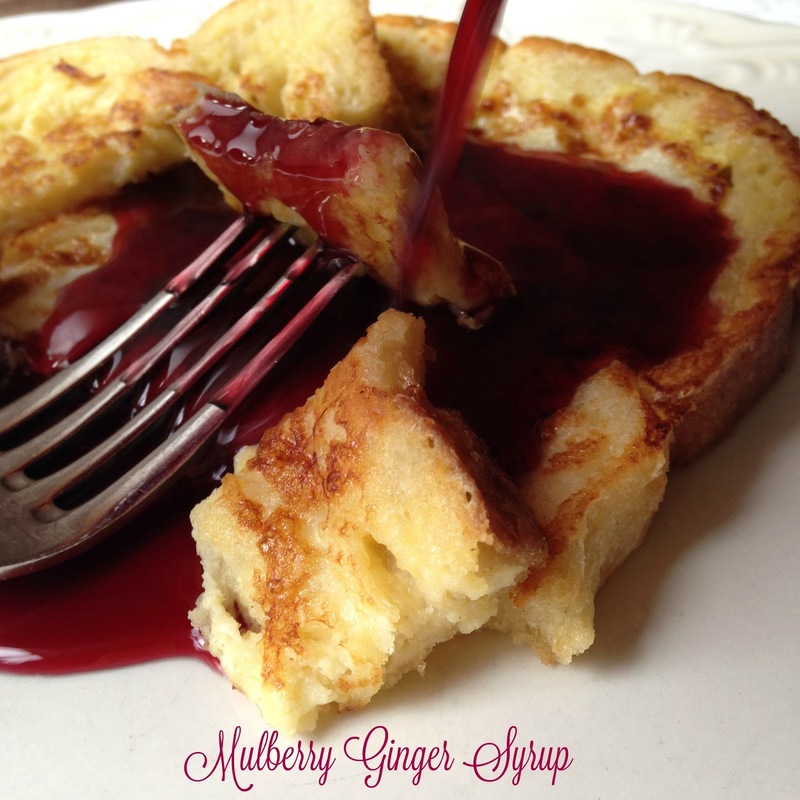 Combine mulberry juice, ginger and sugar in a large saucepan. 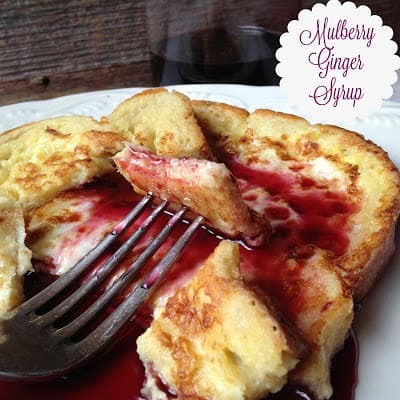 Bring to a full rolling boil, boil for 1 minute, skim foam off the syrup and discard. Remove from heat and fill jars leaving 1/2-inch head-space, wipe rims of jars clean with a warm wash cloth. Place lids on jars and tighten rims. Process in a boiling water canner for 10 minutes. Remove jars carefully with a jar remover. Place hot jars on counter top. As jars cool you’ll hear a “ping” when the jars seal. Leave undisturbed for 24 hours.